"She is already doing a great job." "Sandra is the marketing department, she's putting an enormous amount of effort, work and time into it. If you care for Joomla vote for her!" "Sandra has great leadership skills and loves Joomla"
"Sandra has shown flair, talent and expertise in the handling of the role so far. She is dedicated to the marketing of Joomla, has a broad and deep range of knowledge and will ensure that the launch of Joomla 4 and the marketing plan is delivered as per agreement. She is also inspirational and a role model to many in the community in the way she manages to be everywhere and deliver. I hope to carry on working with her and recommend her wholeheartedly for this role." 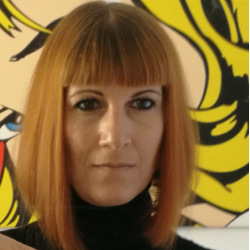 "Sandra has done an excellent work as Marketing and communication coordinator, she is very committed to his role with a great sense of devotion to the project, we need her on this position." "Sandra has a crucial role in keeping a Marketing Team afloat, despite the lack of volunteers. And most important, she is essential to the Joomla Marketing Strategy, and her excellent work for the coming Joomla 4 and next 3.9 release. I cannot see someone else to deploy this strategy, and we, the different Teams of the Department, need her for continuity and stability. Keep on rocking Joomla Sandra!" "Sandra holds the whole marketing department together. She is desperately over worked and has very few volunteers or resources available to run the department. In many ways I wish I could avoid nominating her to reduce the burden on her shoulders, but the truth of the matter is, that at this time, she's the only person capable of carrying it. I really hope that other community members can step up to the plate and fill the roles available in her department so that she has the support and talent needed to promote Joomla to the outside world." "She does an amazing job though is way over worked. Help is needed." I would like to thank all the Joomlers who nominated me for their trust, and all the volunteers in the Marketing & Communication Department for their work and dedication. This past year has been quite a turbulent time for the department with critical staff shortages and the Marketing Team itself almost completely without active members. In the past year, despite the lack of volunteers department wide, we have worked hard to start improving our workflow, organization and communication, but we all have still so much to achieve to increase awareness and make the new marketing strategy a reality. We have received lot of positive feedback that we were on the right track, but in order to achieve our goals, we need more help and new volunteers to commit to contributing at least 2-3 hours per week to help us. Please, if you can write copy, use Photoshop even at a basic level or are good at communicating on social media, contact the team leads and step forward to help and join us! With regards to my nomination, if I am honest I would rather have stepped down at this point and let another member of the department rise to the challenge, but sadly we have had hardly any new blood in our teams and those already in the department are needed in their roles. I am accepting this nomination as the only other nominee is an outsider to our ecosystem and although I am sure she has a fantastic skill set, this level of disruption in the middle of the work we have been doing to move towards implementing the marketing strategy would put the department in too much jeopardy for us to take a risk on an unknown. I would be delighted if Sandy were to join the marketing team, in doing so learn the ropes of the organisation and then once she has gained experience within Joomla, putting herself up for election to lead one of the department teams and then run as DC if she is willing to. "I have known Sandy for years and she would be a great fit for this role. She has a vast amount of experience in both the open source community and in digital marketing." "I've known Sandy through my involvement in the Open Source Software Community in Orlando and across many OSS events. Sandy's passion and commitment to both teaching and empowering others through the use of Open Source Software is an example of how ALL OSS software can work together." "Sandy has created a large Kids "Camp" program for all WordCamps. This experience has brought in thousands of children to Open Source. She also operates a very successful marketing company, Data Driven Labs. I think her experience and point of view could provide the experience and growth Joomla needs. That is not to say the current marketing team has not done a good job, they have. However I think what would be most beneficial to the project is to have experienced outside points of view to support our existing teams. I know Sandy will help make noted progress in the support of Joomla." "Sandy is a passionate and dedicated individual to opensource and would be a fantastic addition to the board." "Sandy is very dedicated to the open source community and education of open source projects. One of Sandy's passions is teaching kids to adopt open source and learn to code. 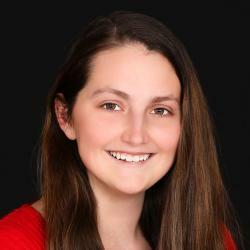 She works with them at local open source events as well as works with her local school board to try and bring STEM education into the classroom for all county students." "Sandy is absolutely wonderful to work with time and time again. I've worked with her for over 5 years on various projects and her detail-oriented approach and ability to execute make her an irreplaceable asset." "Growth is never an overnight process. The rose does not start as a seed and bloom immediately upon being planted. Instead, it takes love, dedication, water, soil, nutrients and sun. Marketing is very much the same way. Through knowing the various marketing channels, processes and value I am able to bring to the Joomla! Board a new look on how to grow and cultivate this amazing platform. I believe in the power of open-source philosophies, technologies, and ideologies to the extent of teaching children how to build their own websites at camps across the country. The curriculum I built has been used at over 15 events across the country and that number grows every year. Open-source projects allow for everyone to get involved. I have met teenagers who have been contributors to project, and the fulfillment and career skills are amazing. I believe that Joomla! can grow at an alarming rate if the right methods are used to market this powerful platform. If elected I will work with the board to increase the market share, increase the participation of the next generation and to further the knowledge of the Joomla! Platform." "Djamel is a very committed community member, during the past years, he took care of the Joomla User Group Team with his dedication, passion and extensive patience. Under his lead, the JUG Team has been successful ensuring a clean and growing JUG Directory and solving conflicts in several regions." "He has been a team leader and dedicated to the project." "He has been working in the JUG Team (under the Events Department) for years. He is organised, committed and well loved. I think he would be great to move up to the Event Department Lead." "Djamel has been a dedicated team lead for the JUG Team. He is caring, insightful and has open source at his heart. Becoming Events DC seems a logical step for him and I believe he would be an excellent addition to the board." 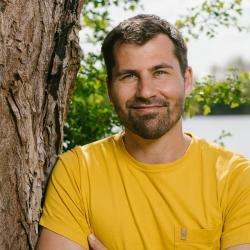 “Viktor has been an outstanding and dedicated leader within the Programs Department for a number of years. His professionalism, joy, and commitment are infectious qualities that help grow the project." “Yves has been a good Board member so far. I guess that L&F might be more suitable for him, given his deeper involvement in partnerships, agreements and the help given in Compliance. " 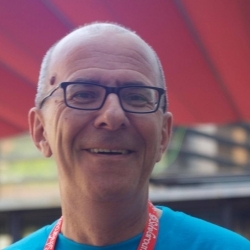 “Yves is a good leadership member"
“Yves as a great experience serving the Joomla project, he is the right person for the position, as Legal and Finance department coordinator." “Yves would be more suited to this role than Programs. He is already a member of several of the teams in this department and has some strong connections to potential sponsors." “Alexander has been in the role for a very short time, being elected as replacement. He needs more time to feel confident in the position and unleash his potential as VP. I believe he can be a good VP, being a very community-oriented person." 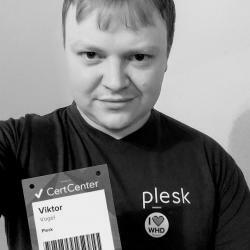 “Alexander connects and brings people together and does an awesome job representing Joomla. 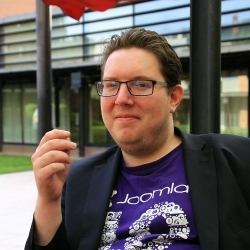 His first term was short, so he earns to be on the board for another period to bring Joomla further with his vision." “Alexander didn't have time yet to be deeply involved as he is VP only since a few months but he is bringing a new energy, good ideas, he is enthousiastic and is willing to help improving the Project"
“Alexander is a great person, he is very committed to his role as Vice-president, he can bring a lot to the community as VP." “Alexander is doing his best to reach out to other communities and spread the gospel of Joomla." “I personally think that when the renewal cycle is so close to a replacement, it doesn't make any sense to vote again. So I wish that Alexander could continue in is role for the moment, because he is still good a few months after his first election!" “In the short time that Alexander has been in the role, he has shown a talent for outreach beyond our community and a balanced approach to his role. I would be delighted to see him serve a full term and believe his attitude is perfect for the vice president role." “I like his approach for the first short period of his term and look forward to seeing more." “As a founder of Joomla, today Brian holds a unique historical and experience driven perspective. Brian was successful at growing the project and more than ever is his voice needed to balance a board of directors whose lack of professional experience and lack of will to understand the open source and professional needs of today is marginalizing a great platform and community." "I am not a developer, I am not a marketeer, I am not a blogger, I am not a public speaker, I am not an event organiser, I am not a CEO. I am much more than the things than I am not. I am all of these and none of these. Yes I am standing for election again. While the issues that I care about are not addressed and people continue to nominate me I will continue to accept the nomination. Too many people are prepared to sit on the sidelines and complain without standing up and taking some responsibility - that's not me. The role of Vice President is completely undefined - so before voting please consider what it is Joomla needs from a VP and if your choice is the best person for that. Of course we have a crazy electorate for this election. Every team leader gets a vote as do the Officers (even if that means voting for themselves). Just look at all the teams that we claim to have and the leaders that allegedly exist. Far too many of them are redundant, absent or non-functioning - just check the volunteer portal and see how many of those teams have reported nothing at all in the last year - we need to change this. I am in my 50th year and for 35 of those I have been involved in community and volunteer organisations serving on many governing boards. Our structure mandates that the board form a CoC, Communities Department, Ombudsman and Advisory Board. All hard tasks but not achieved so far - we must address this urgently. As a board of leaders and coordinators it is not the board's role to do everything. If the board is doing all the work then the structure isn't working. We are a community of volunteers from across the world and we should be working to increase contributions and not by doing everything ourselves. That's not healthy and it's not sustainable. Finally as we work towards the release of Joomla 4 we need to have advocates who are both knowledgeable and presentable if we are to succeed in spreading the Joomla love. Just as not everyone can be a developer or a designer being a public face also requires special skills. Joomla has a great future ahead, but only if we all stand up and contribute. Standing on the sidelines and throwing popcorn or waiting for others to stand up and do something will never achieve anything. We can and should be doing much more in all areas of Joomla to increase engagement and contribution. We should and must look at removing barriers to entry and make it even easier for those that wish to contribute." “Jason has experience in finance and has been on the Finance Working Group. In this we have spoken about process and how the inner workings of the position operate. He is working on getting QBO Certified which shows me he is willing to put in the work required, before even being elected to do everything he can to fulfill the duties of Treasurer. In addition he is located in New York where we are incorporated, This will help limit travel and expenses for thinks like bank visits, meeting with our bookkeeper and tax professionals. In addition I feel Jason would be a good outsider point of view for the project and fulfill his role and duties of Treasurer in support of the mandate of the board of directors. Sometimes having people too close to Joomla be in this position colors their fulfillment of the board's mandate. This role is to support the board's directives, budget and goals." “I am have been COO/CFO of a WP agency for the last 7 years and believe in Open Source software and its mission to democratize code." “He has been working as the assistant to the Treasurer for months and is based in NYC and fulfills the current OSM charter." “Jason is extremely conscientious and fiscally responsible. He has great communication skills and an ability to work with teams to create goodwill and consensus." “I have had the pleasure of interacting with Jason in his capacity as COO for Crowd Favorite and Bureau of Digital's Owner Summit. Jason, is a meticulously detailed, highly-organized professional. As Crowd Favorite's attorney, I attended several corporate meetings and was able to observe Jason's management style and have been nothing but constantly impressed by his ability to prioritize corporate issues while managing client expectations, employee performance and handling day-to-day operations for an international corporation. Jason oversees remote staffing schedules, multi-million dollar budgets, and projects for Fortune 100 companies. Jason has a strong marketing background and impeccable written and verbal communication skills; as an English Major and attorney, I want to highlight his proficiency in this a because clear and concise communication reduces legal liability. Many times, I see clients and financial professionals that excel at numbers and spreadsheets but aren't adept at communicating or translating the numbers or analytics to an organization. Jason is multi-faceted, extremely knowledgable about Open Source and would make an outstanding Treasurer and be a valuable asset to any Board." “Already stated. Great leader, excellent financial mind." “The role of Treasures is one of the most critical in Joomla. The position requires experience, discipline, and accountability. Jason is eminently qualified on all counts. He currently serves as Assistant Treasurer and is prepared in all legal and fiscal responsibilities for the project. There is absolutely no one more appropriate." “Jason is a passionate and dedicated individual to opensource and would be a fantastic addition to the board." “As assistant to the treasurer as well as close proximity to the bank, I feel Jason would be excellent for this role."